Want to go to a place where you can breathe fresh air and have a day or two off from work? What if you can go to your dream getaway by just shopping online? Want to know how? 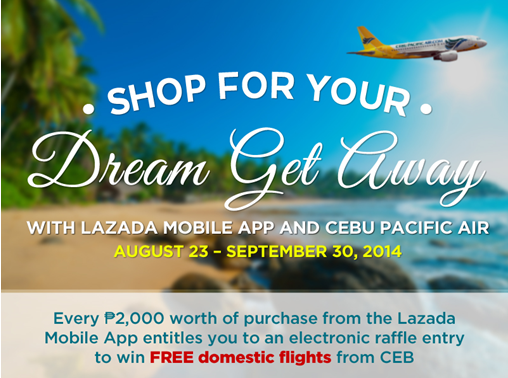 This August is probably one of the best times to shop at Lazada Philippines via the Lazada Mobile App. Not only for the smorgasbord best deals spanning from mobiles and laptops to fashion to home and living, but also for more great giveaways. 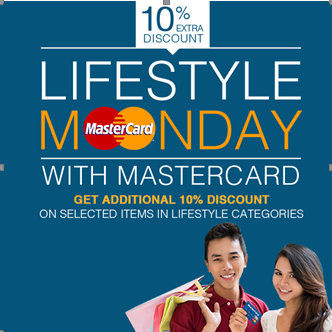 Shop on Mondays with Lazada's Mastercard Lifestyle Mondays! Are you dead tired everyday from work but still needs to shop for your clothing needs? Or are you just too lazy to get up from bed and visit your favorite shopping mall? If you are the urban lifestylista, the proud mother of three, or a yuppie trying to make it big in your career, there could be many reasons to dread Mondays — the traffic, the hustle and bustle of the daily grind, or probably just the mere idea of ticking an item off your kilometer-long to-do lists. Guess Who's Here? 6th Babypalooza Bazaar and First #BazaarForACause for #HelpForCarlisle! The Babypalooza Bazaar is back! On its sixth year, sellers of baby products and service providers will once again reunite to showcase their businesses at the only baby fair that features not only brand new but gently used (aka pre-loved) items for babies and pregnant mommies. 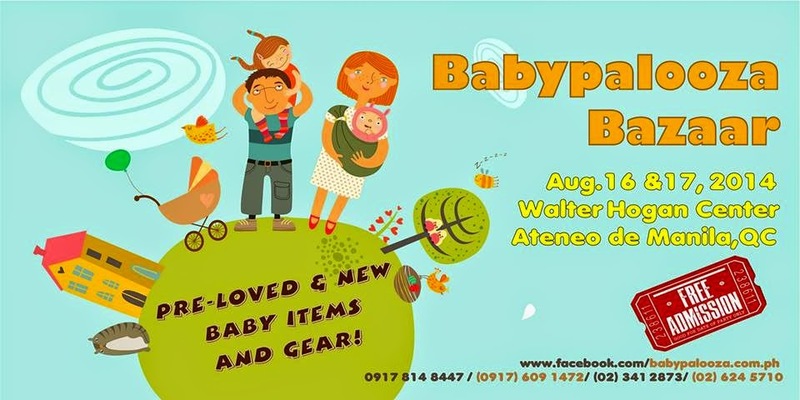 Parents can get access to the latest and cutest baby products and shop to their hearts’ content in an air-conditioned venue on August 16 & 17, 10 am to 7 pm at the Walter Hogan Conference Center, Ateneo de Manila in Quezon City. Get your shoes and socks in one with Attipas! Looking for the perfect shoe for your little one is way too difficult. On my case, I need to get the right one for the cranio kid because he should not trip nor stumble when he do his walks. Carlisle has been diagnosed as gradually blind since he was five months old. By that time, I was not actually aware that he is already entitled to have a PWD ID card. Part of me also considers him of having no disability at all. As a mother, it kills me to know that he is already blind. But lately, as our expenses grow rapidly, I’ve decided to accept his condition, and get the benefits that he should get. All About Kids Bazaar This Weekend! Nothing to do this weekend? Why not enjoy it with your kids! 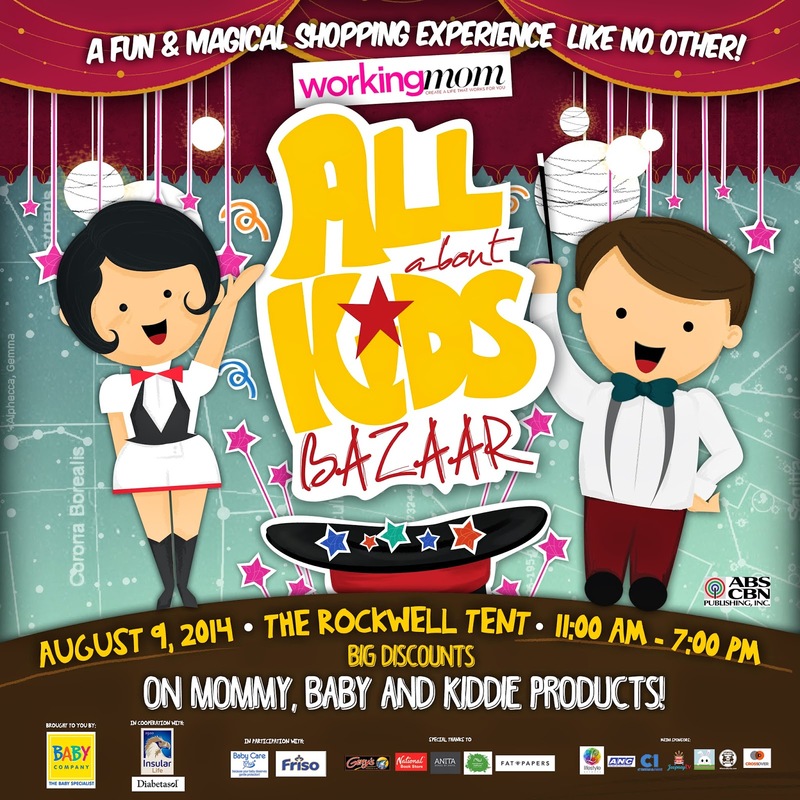 This August 9, Working Mom magazine is bringing moms and kids a fun and magical shopping experience like no other as it launches the All About Kids bazaar at the Rockwell Tent. Last July 20, 2014, GMA News TV’s Reel Time presented their latest documentary about single mothers who were able to survive despite of bringing every responsibility that two people needs to share – hence, a father and a mother, in that case. I was featured along with my son on their #Solo episode, with two other single mothers, businesswoman and actress Bettina Carlos and 37th Gawad Urian Best Actress Angeli Bayani. 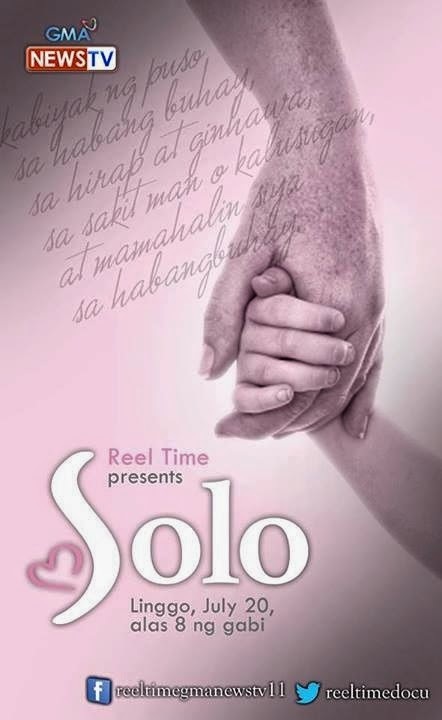 Reel Time presents #Solo. Credits to Reel Time Facebook page. Indeed it is. Richer? In what way? Richer in terms of knowledge, experience. 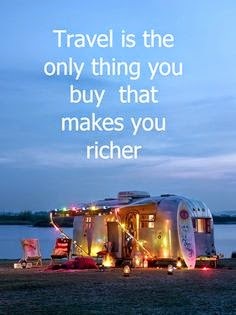 When you travel, you are not just spending money. Your eyes are getting full with the beautiful places that you see. Your mind gets overwhelmed with the ideas that you can catch from the people from those places. Your spirit gets energized with these things that God created for us. Almost everyone has their own bucket list - a list of things that you should do on a certain time frame, a deadline perhaps, maybe for a month, a year, or before you bid goodbye to Earth. But does anyone have a travel bucket list?